French dairy giant Lactalis has announced an expansion into the growing ‘skyr’ segment with the acquisition of Siggi’s, a US-based manufacturer of Icelandic-style yoghurt. Terms of the deal were not disclosed. Founded in 2005, Siggi’s offers Scandinavian-style skyr yogurts that are made with “simple ingredients, not a lot of sugar”. According to the company website, Siggi’s yogurts are free from artificial sweeteners and use only hormone-free milk from family farms. The firm has distribution across the US via retailers such as Whole Foods, Publix, Target, Wegmans and Starbucks. Commenting on the deal, Lactalis Group president Emmanuel Besnier said: “We are delighted to welcome siggi’s to the Lactalis Group, which further expands our yogurt platform in the U.S. with this unique and fast-growing yogurt brand. 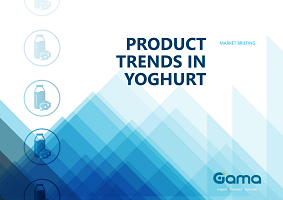 We look forward to supporting siggi’s as it continues to bring its retail partners exceptional dollar growth in the yogurt category”. Siggi’s represents Lactalis’s latest foray into the American market, following its acquisition of the Brazilian firm Itambe Alimentos at the end of 2017.